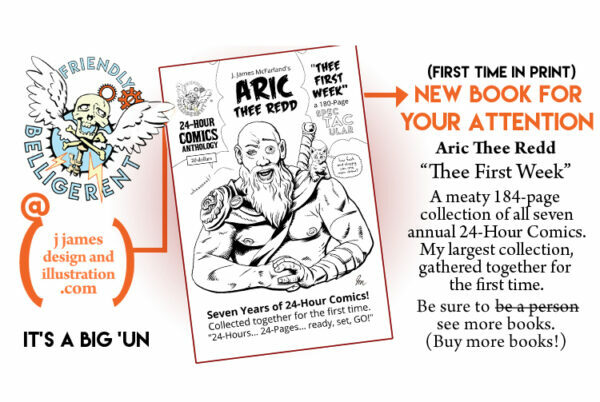 This is the compendium of all seven Aric Thee Redd 24-Hour Comics. These are drawn annually in October at Time Warp in Boulder. The progression of the skills of the artist are front and center as each chapter takes place in consecutive years. Watch as the first few unfocused and difficult chapters give way to the more skilled and strongly paced chapters later on in the book. 24 Hour Comics are fun. 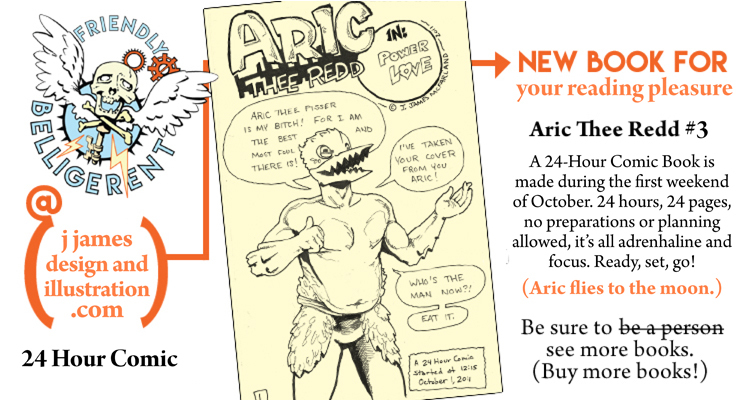 Join Aric as he does it all! Fights, internal struggles, love. It’s all here. 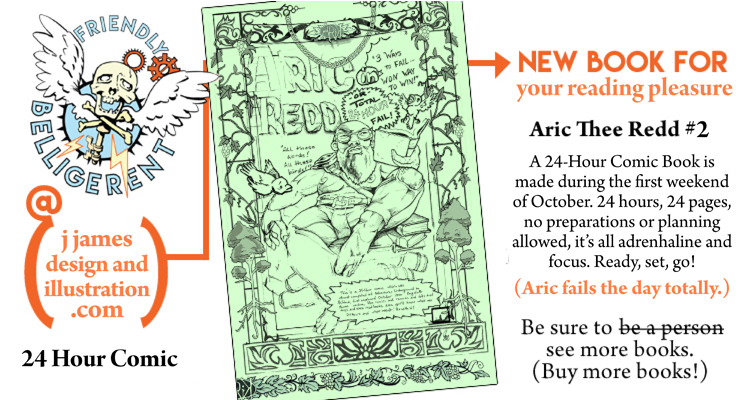 Join Aric as he totally gets wrecked and fails at everything. 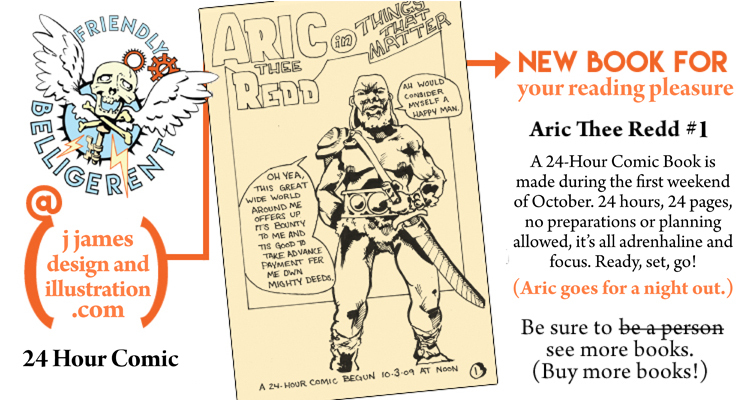 Join Aric as meets a vile villain and goes… to… the… MOON! 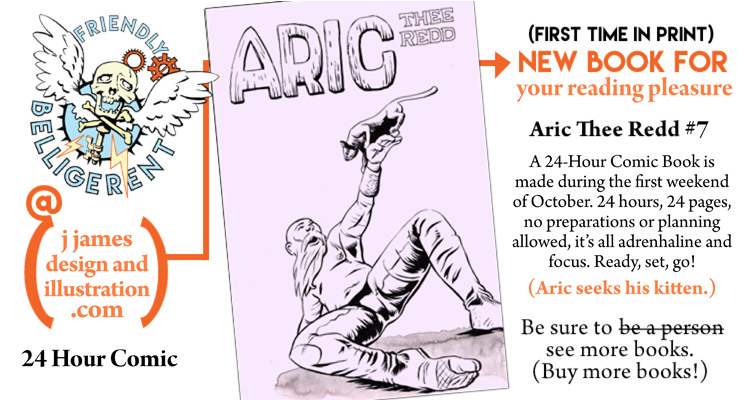 Join Aric as he seeks his kitten among the crazy denizens of the real world and his own.